Here at The Pool House, we know we are one of the biggest destinations in San Diego for visitors and tourists alike. 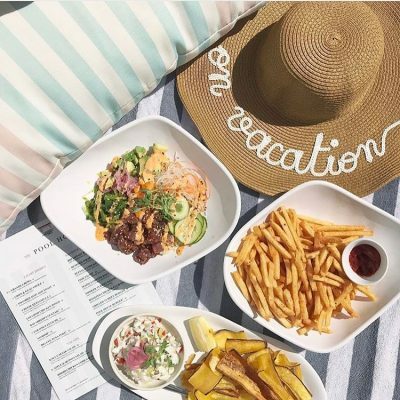 After all, we are attached to the stunning Pendry Hotel, one of the best in San Diego and we are known for our unbelievable rooftop deck pool. However, just as we love our out-of-town guests, we also love our locals, so we’ve decided to throw a special event just for our local customers to show them just how much we love them. Our Local’s Lunch is going to start March 12th and it is designed just with our San Diego area guests in mind. 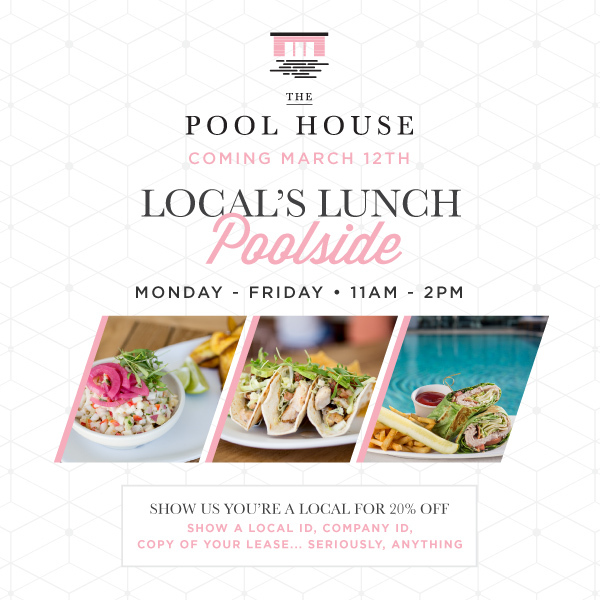 Every Monday-Friday from 11 AM- 2PM any locals that come and visit us for lunch are going to get 20% off their bill, just for eating at The Pool House. All you need is a local ID, a company ID, a copy of your lease, or anything at all that shows your residence and you get 20% off your bill. It is really that easy. Haven’t dined with us for lunch before? 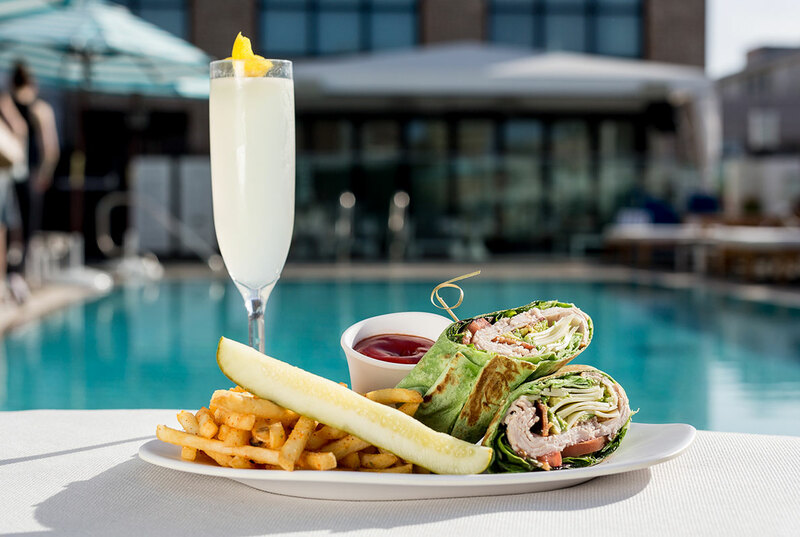 Well, in addition to enjoying or delightful poolside views, those who dine with us for lunch can enjoy some seriously delicious fare that is sure to be the perfect mid-day treat. Our Maine Lobster Roll is one of our favorites, but if you are really hungry make sure to try the Signature Pool House Burger. Looking for something lighter? Our Smashed Avocado Toast is one of our customer favorites, as is our coconut ceviche. Our menu (attached here poolhouse-menu-022618 ) is filled with great starters, sandwiches, entrees and salads. Of course, if you are looking to make it a really fun lunch, we also have a menu of delicious cocktails, including our famous mojitos available during lunch time as well. 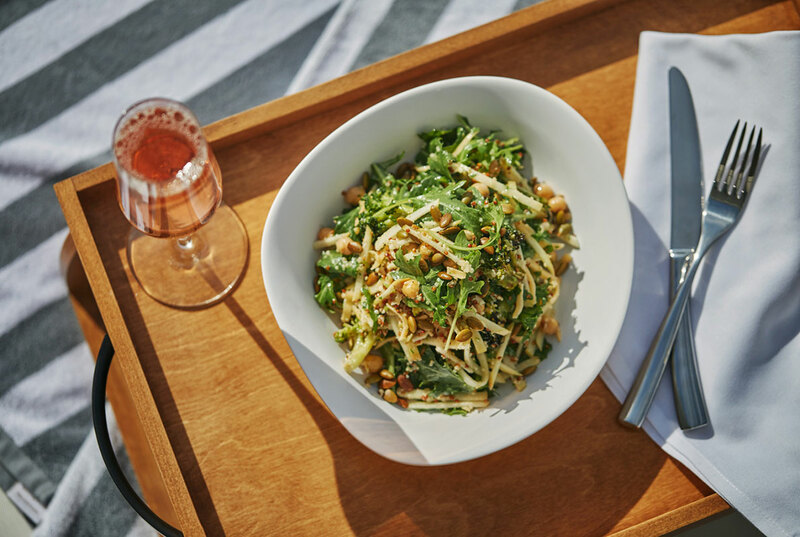 While we know everyone comes to Pool House for the poolside views, once you taste the food, you are going to want to come back time and time again. Make sure to visit us any Monday-Friday, starting March 12th to take advantage of this special offer. Remember, you need a proof of residence on your ID. The entrance to the Pool House is right on 5th Avenue, next to the Lionfish entrance. We’re talking to you locals! So make sure to visit us this week to kick off our Local’s Lunch event and dine with us poolside for 20% off your bill.